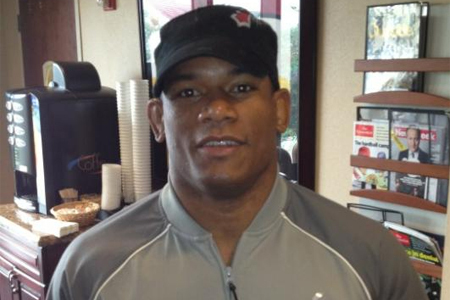 Hector Lombard (Pictured) kicked the hoopla train into overdrive the instant he inked his UFC contract in April. Unfortunately for fight fans, the former Bellator middleweight champ failed to live up to expectations in his big league debut against Tim Boetsch. For whatever reason, “Lightning” didn’t unleash the vicious assault that had become his M.O. during his 24-fight winning streak. His new boss was thoroughly disappointed and suggested a change of scenery might be in order. “It just wasn’t what I thought it was going to be,” UFC president Dana White expressed at the post-fight press conference. “Whether it was Boetsch or Lombard winning, I was expecting a real war. I thought this thing was going to be a war. Adding insult to injury, Boetsch believes he broke his right foot at some point during the 2ndRound and still managed to take home the split decision victory. While Lombard’s résumé outside of the Octagon can’t be denied, White believes the stocky slugger might be too small to compete with the UFC’s middleweights. He suggested the 34-year-old shedding 15 pounds wouldn’t be the worst idea in the world. Saturday’s defeat marked Lombard’s first loss since dropping a unanimous decision to Gegard Mousasi in November of 2006.